The Absher mobile app — first available on iOS devices in 2015 and to Android devices in 2016 — is a Saudi government e-portal where users can access an array of government services related to Hajj, visa, National ID, traffic violations, and health insurance among others, according to the Saudi Ministry of Interior. Among those services is a feature for male guardians to decide whether their dependents can travel abroad and the parameters around their travel plans. 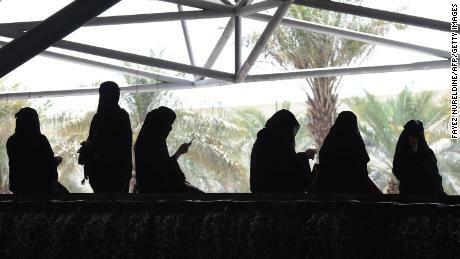 Under Saudi Arabia’s restrictive guardianship laws, women cannot travel without permission from their male guardians. Critics argue that the Absher app is a technological extension of the repressive rules that restrict many aspects of everyday life for the country’s female population. “By permitting the app in your respective stores, your companies are making it easier for Saudi men to control their family members from the convenience of their smartphones and restrict their movements. This flies in the face of the type of society you both claim to support and defend,” he said. Apple has not responded to CNN’s request for comment. Google told CNN they were “looking into it,” but did not have anything further to share at the moment. 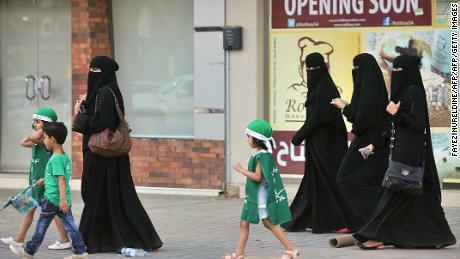 “The use of the Absher app to curtail the movement of women once again highlights the disturbing system of discrimination against women under the guardianship system and the need for genuine human rights reforms in the country, rather than just social and economic reforms,” an Amnesty International spokesperson said in a statement emailed to CNN. The Saudi government did not immediately respond to CNN’s request for comment. Rothna Begum, senior women’s rights researcher at Human Rights Watch told CNN that Apple and Google “should be considering the way that the app is being used and in practice,” noting that the tech giants already have rules about apps that facilitate threats and harassment. There have been a few, isolated cases where Saudi women have managed to use the tech to their advantage, Begum said. In those cases, a few women have been able to get a hold of their guardian’s phone to give themselves permission to travel to the airport before he notices that anything had happened. 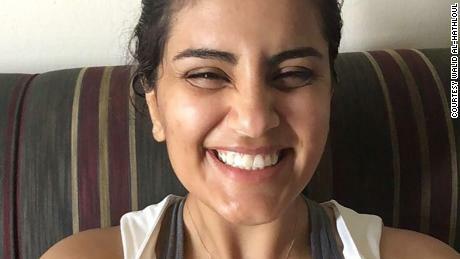 But Begum stressed that those cases were extremely rare, adding that the guardianship feature is another example of how the Saudi Arabian government has used modern technology to reinforce primitive practices. Dr. Tariq bin Abdullah Al-Sheddi, director of Saudi Arabia’s National Information Center, said in 2016 that “the main objective of developing the Absher App for smart devices is to raise the level of service, besides harnessing the smart devices’ potentials to provide new value-added services, as the smart applications are the future platform for implementation of e-services.” The number of registered users exceeded 6 million in 2016, he said. CNN’s Zahra Ullah and Richard Davis contributed to this report.